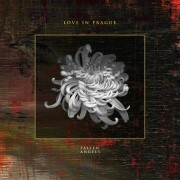 Ambient guitar, minimalist rhythms and new wave voice, Love in Prague is an UFO somewhere between Interpol, And Also The Trees, Slowdive or Little Nemo. Since 2009, the band has given concerts in France in clubs and bigger halls, they have especially made the first part of the UK band Lebanon Hanover in 2015.Their new songs, still drawing on cold wave, dream pop + post-punk genre, moved on on a more electronic approach with the use of synthesizers creating an ethereal and gloomy atmosphere. 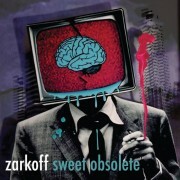 It’s called ZARKOFF aka Saša Rajković! In the last few years this great electro / minimal wave / techno producer from Croatia released some stuff on Dark Entries, Creme Organization, Kraftjerkz, JAM Traxx, Half Releases, Enfant Terrible / Gooiland Elektro etc. with various projects, such as Sumerian Fleet (with Mr Pauli & Alden Tyrell), FFFC, collabs with Popsimonova and Iva Vis. 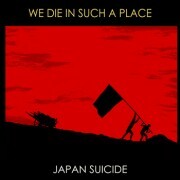 From Terni, Italy, Suicide Japan is an Italian post-punk / cold wave band, following in the footsteps of the late 70′s British post-punk echoes. They’ve been discovered by David Carretta on his famous label Space Factory, their tracks are on big dj’s lists, such as Dave Clarke or Alexander Robotnick. 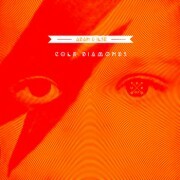 They’ve been remixed by heads of electronic music (The Horrorist, Motor, John Lord Fonda, Haujobb), they made a cover of Suicide with Gabi Delgado from D.A.F. They are supported by Dominik Nicolas (ex-Indochine) and Etienne Daho himself, brought back electro clash on the french scene in 2012 with their first release “From The Waves”, then were acclaimed with the next releases too (Sadisco, Sadisco r3mix3d, and Birds fallen from Heaven) by both underground music critics and an audience in search of quality. Now, the french electronic music has a sound, a face and a name: ADAN & ILSE. From Paris, France, here’s Melanoboy’s first full length album. Featuring Usher (Norma Loy, Black Egg, Adan & Ilse), Corina (Ghost Actor), HIV+ (Adan & Ilse), Xavier (Waterwalls), Vera (Black Egg) & more.